Skyscript.co.uk :: View topic - What House System Do You Prefer? What House System Do You Prefer? Posted: Thu Mar 07, 2013 4:54 pm Post subject: What House System Do You Prefer? I am trying to see what house systems people prefer to see natal charts displayed with on the Natal and General astrology forum. What is your preferred system to see charts displayed in? Poor equal house system, it's taken a knock the last few days. I personally use Placidus and Equal a lot for natal astrology. Equal because it's essentially whole signs with convenient points which represent aspectual relationships to the ascendant and the nonagesimal. I will accept that it is 'kindgergarten' astrology for some, but I don't necessarily think the strength of a house system is in its astronomical/mathematical complexity. I think it's only understandable though that people mistake a simplified house system for a simplified version of astrology - however, in today's world nobody really calculates the houses by hand, and even in the bad old days they used tables of houses. Therefore I think the complexity of calculation should be secondary to the underlying philosophy of the framework that you're using. I use equal because it demonstrates to me what I want to know - a sign for a house approach with convenient places which aspect the ascendant and the point 90 degrees from it. Placidus because I like the time based philosophy behind it whereby a given house equates to two planetary hours. too bad there isn't an option for whole sign in equal house format, lol... or a 2 house system thing where someone can opt for a smorgasbord combo of whatever the 2 combo choice is.. i think that is what some folks are doing - whs and quadrant system simultaneously... disclosure - i have checked off whole sign houses in the absence of these more complicated choices. Unfortunately Skyscript polls seem to limit us to only six options. I initially tried to add in Equal but ran out of space. I have taken the decision to remove Topocentric from the list and replace it with Equal. Topocentric produces house cusps almost identical to Placidus. I'm sure far more people use Placidus than Topocentric. I was just being tongue in cheek with the kindergarten comment. On reality Atlantean's comment in the other thread sums up a particular attitude which is fairly common, and I just wanted to use this as an opportunity to highlight that complexity of calculation does not necessarily make for a better system or a more accurate astrology or even a more complicated one. In reality it is no more complex for us as actual practitioners to select the placidus, topocentric or equal system. I just wanted to illustrate that one could use both whole signs and a quadrant system in one chart. Delphic Oracle allows one to do this, if they research the settings of this wonderful program. Thank you, Curtis! I use topical places for natal work (hence the emphasis on the zoidia in the chart outlook), but note the placements and rulerships of planets in Alchabitius, especially for how active the planets are and for the length of life. Venus and Exaltation are in the Asc by division, but in the 2nd place, Mercury is in the 3rd by division, but in the 4th place, Saturn is in the 7th by division, but in the 8th place. I'm given to understanding that Placidus is still more popular than Koch. I concede to showing charts in Placidus while I personally use Koch. For cusps above the horizon, the semidiurnal arc (along a small circle) of the rising degree (ascendant) is trisected; then, altitude circles (small circles parallel to the horizon) are constructed through the points of trisection; finally, the cusps are determined by the intersections of these altitude circles with the ecliptic. For cusps below the horizon, the semi-nocturnal arc is used. The MC and ascendant are the same, respectively, as the cusps of the 10th and 1st houses. This system is ill-defined at extreme latitudes. The Koch House SystemThe diurnal arc of the ascendant is tri-sected and projected by ascendant arcs onto theecliptic to form the house cusps. In the Koch system, the diurnal semi-arc is trisected by time division. This produces a grid that can�t be used in the polar regions�something the Alcabitian system could. To create a Koch chart, trisect the MC semi-arcs from the ascendant to the midheaven, and from the IC to the ascendant. Then project these trisected points on to the ecliptic with ascension (altitude) circles paralleling the horizon. Koch has some unique features�some useful, some not. Because of the odd way the houses are derived, the 10th house can sometimes be on the horizon. And, the 10th house cusp on the ecliptic is the MC, but the 10th house curve off the ecliptic doesn't align with the meridian circle. This causes other houses cusps to not be clearly defined from the ecliptic. This is a little hard to picture, but simply put, the Koch House system can sometimes produce some improbable results. Cosmobiologists often prefer the Koch system because they believe that house cusps on the ecliptic are too sensitive to ecliptic transits, directions and progressions. Another big problem with the Koch system is that it can only be used up to 60� latitude. Re: "...I just wanted to use this as an opportunity to highlight that complexity of calculation does not necessarily make for a better system..."
Correctly symbolized primary directions (with orbs of only a few minutes of arc) in tightly timed horoscopes were analyzed in order to find out where the cusps are and then a mathematical model was derived to place the intermediate cusps at those locations. As for each chart analysis, I am analyzing 20 to 30 events (across several systems), these repetitions of exact intermediate cusps cannot be coincidental. Though I am appreciative of the fact that anyone can use anything that they want to use in Astrology, I do believe the house cusps are very tightly defined. ie. there is an actual location of these cusps, which are modeled (with varying degrees of success!) by the various systems. Though I find the poll interesting, it's not finding (or attempting to find) the best house system, it is (by definition) finding the one that most people would like to be utilized for displayed horoscopes. What would be interesting (to me, I humbly admit), would be to take precisely-timed horoscopes with extensive event lists and analyze those (with Primary Directions and Secondary Progressions) and statistically see which House System gives the tightest overall (relevant) aspects to the (appropriate!) house cusps. In this way, we wouldn't be indicating which one has the biggest fan club, but which one performed best statistically. Personally, I will always use Topocentric in charts that I display. To do otherwise, would be like forcing a mathematics professor to write "2 + 2 = 5" and expecting him to feel good about it. P.S. Re: Kindergarten Astrology (ie. equal houses) --- that was a quote from Alice McDermott. When one sees that the House Cusps are actually "hot spots" that are equally as specific and as reactive as the Planets, then it makes it (philosophically) difficult to "condone" arbitrarily cordoning off 30� chunks and calling those a tightly defined, individual set of houses. P.P.S. Speaking of Alice McDermott, she and Don Borkowski have put forth the idea that different house systems are appropriate dependent on particular individuals. [ie. Bob is a Placidus, Julie is a Regiomontanus, etc.] I can't in any way get behind this idea and have seen zero solid evidence to support it. Okay, I don't want to get into issues of empiricity, simply establish that simplicity or complexity of calculation is not what determines "good astrology" from bad, nor actually informs us greatly on the astrology done. In other words kindergarten level of calculation complexity does not inform us about how that calculation is used. I think this is a common mistake with issues surrounding many aspects of astrology, the house system being just one. If it involved complicated mathematical procedures, equal would be no better or worse off. Similarly if Topocentric required nothing more than mental arithmetic it also would not devalue it. Worth is not measured by how difficult the maths are to do, especially when in reality actual astrologers are not employing that difficult maths - the computer programmer is. The question of the houses may be as simple as asking "what are you using them for?" and that question may be surprisingly answered very differently amongst different astrologers. If you're looking to see "sign for house" symbolism, you will not find it with topocentric houses. It can be a mistake to think we're all looking for the same thing when we use a house system or that there is only one 'right' way to do use them either. In other words when you say.. In this way, we wouldn't be indicating which one has the biggest fan club, but which one performed best. You're assuming a priori what indicates a 'best performance' - you're assuming that what you want from the houses is what everyone wants from them. That's really the point I'm trying to show. When I use equal houses it is not because I believe that primary directions to their cusps will be more revealing of events which occurred to the native. It can seem a simple point, but definitely worth keeping in mind. I am using them because they provide some other useful data to me instead. Sure, I hope my points above reveal why I think this idea is flawed, as it is an assumption a priori of what an astrologer is looking for from a house system. Really it is also worth raising a question mark also over the word 'arbitrary' because of couse equal signs are not arbitrary. No house system is. They are all defined specifically by a particular framework and philosophy. Equal has its own philosophy and that may not adhere well to the philosophy that you or Alice or others employ with their zodiac. Ultimately the houses are a construct, and what we want to achieve from that construct may well dictate what house system we use, but, more importantly, our philosophical notions behind them as well. P.P.S. Speaking of Alice McDermott, she and Don Borkowski have put forth the idea that different house systems are appropriate dependent on particular individuals. I can't in any way get behind this idea and have seen zero solid evidence to support it. Yes, and she's spoken at length about this. I likewise do not believe that there's any evidence of this - and by evidence I mean the claims that one corresponds better to events in the native's life more than another. Really I always think of arguments like this as being analogous to demanding that the 'true' way to measure a length of distance is in miles rather than kilometers, when really ultimately it may be more important to first ask "what are you measuring for" in the first place. Also with regards complexity of calculation it's worth keeping in mind the idea of "garbage in, garbage out", no matter what you do with your calculations or how complex you make them, the more important idea may well be the philosophical understandings behind them rather than the fact that complexity is required to render a result. One could make calculating equal houses very complicated if they wished, though of course there is no need to. It won't tell us anything at all about the equal house system, nor, more importantly, about how an astrologer may use that. Posted: Fri Mar 08, 2013 10:59 am Post subject: Re: What House System Do You Prefer? This is the default system for the Psych crowd. I think Zondag who from hazy memory comes in and out of this perspective used Koch, or Coq up as I call it. Noteworthy as using an alternative house system is a direct, some might say, (more correctly or rationally), aggressive challenge to the thinkings and doings of those she has nobbled about with here and there. In this way, we wouldn't be indicating which one has the biggest fan club, but which one performed best statistically. These days the upscale crowd tend to embrace, with the odd caveat, Hand's old fellas sourced or influenced notion that 'astrology is about events in consciousness not events in nature'. Philosophy of Mind pickles here , but the meaning and implications are, to my mind, clear enough to ponder on vis a vis - to stat or not to stat. Posted: Fri Mar 08, 2013 12:08 pm Post subject: Re: What House System Do You Prefer? Not quite, the Huber methods utilised by the Astrological Psychology school puts a great emphasis on using Koch - in places 'demanding' that it be used. What you mean is the CPA style of psychological astrology which tends to use Placidus. Let's try to remain respectful of all the house systems. I must emphasize I opened this thread for people to just feedback what system they actually use. That was it. It wasn't intended as a place to extensively set out your stall for your preferred house system as Atlantean has chosen to do. We could all do that. I do think generationally the CPA/psychological approach to astrology is still very popular in local groups etc across the UK. The 1980's was a boom period for astrology and the books of people like Greene, Sasportas etc are still extremely popular with those astrologers. Up here in Scotland most people in groups are still using Placidus for natal although there are a few refusniks using equal or whole sign. As Paul suggests modern astrology is not monolithic. You get astrologers like Rudhyar and Donna Cunningham using Campanus. In Europe the Huberists use Koch. Koch seems to be very popular in the USA too and Robert Hand used to use that system before he moved to Whole Sign houses. There also seems to be a grouping of astrologers using Topocentric/precessed charts heavily into timing/rectification like the late Alexander Marr , Isaac Starkman and our very own Atlantean. Although its supporters are obviously more diverse as I recently learned that quite traditional astrologers like Geoffrey Cornelius and Graeme Tobyn use Topcentric. Despite its detractors equal houses are used by one of the most impressive modern astrologers I have met called Frank Clifford. Frank runs the London School of Astrology with others. He is a strong advocate of equal houses and supports this with a vast array of data research. 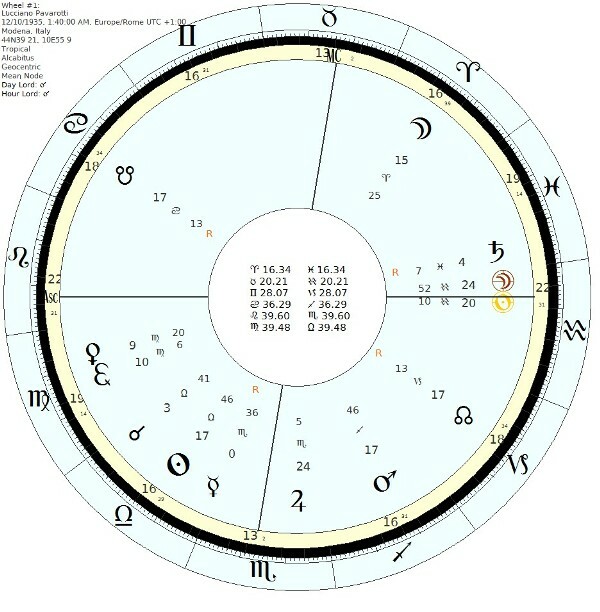 I believe the Faculty of Astrological Studies (UK) still teach equal houses along with quadrant systems like Placidus. Then of course you have followers of Ebertein or Uranian astrology that may avoid using any house system at all. However, I do think the online revolution is changing the demographics of house system loyalties. Once only exposed to only Placidus or equal people are now seeing other systems advocated such as whole sign (hellenistic-early medieval or Indian) or Alcabitius. The popularity of whole sign in our ongoing poll seems to reflect that. Although Skyscript is clearly biased towards a heavily traditional sample of astrologers. Someone above suggested different house systems suit different people. Ultimately, unless we want to be fundamentalists about it that is a reasonabale view. I personally see astrology as a mantic art in which various approachhes can be utilised. The only alternative is a narrow perspective that only one zodiac, one house system and one rulership system are the one true way. I do have an approach that works for me. But that is as far as I go. I dont take a universalist view that what works for me must by definition be right for everyone. I seek to defend my position with logic because it makes sense to me and fits my experience. However, that doesn't mean I necessarily expect others to agree. Another perspective was suggested by Bernadette Brady. She suggests different house systems may be suited for different things. For example, some systems better for a personality profile while another for timing events etc. I know a lot of people swear by Regiomontanus for horary. Plus many astrologers utilise more than one system. Robert Zoller taught his students both Alcabitius and Whole sign and advocated looking at charts with both. Astrologers like Steven Birchfield adopts this approach today. Following the position of Robert Schmidt , Benjamin Dykes suggests using quadrant house to assess planetary strength and whole sign houses for topics. Clearly, then there are numerous approches available. The dillemma is not the diversity of house systems but rather for those who adopt the rigid perception that there is only one true way to practice the art. If we are honest our preferred house system is not based on any kind of scientific empiricism ( I doubt the validity of this anyway) but rather reflects the kind of astrology we were taught and the type we practice. Hence those into whole sign are often inspired by hellenistic, Indian or early medieval astrology. Alcabitius reflects later medieval and renaissance astrology. Those using Regio are often using 17th century sources like Lilly or Morin. I could go on but you get the point. In a historical sense there have been passing fashions in house systems just as there is other aspects of astrology. Posted: Fri Mar 08, 2013 1:19 pm Post subject: Re: What House System Do You Prefer? I wonder if it might save time, space, RSI's and breath ......... if I was to pm you my intended posts and then you could summarise, clarify, even expand upon the alternative meanings projected into them, and post them as your own? If unsure as to the merits of this, can I propose another poll entitled coq up or coq au originaire, incidentally the mot sur la rue in the Sorbonne's Bistros is this bird is inevitably a Catastrophe with a young Burgundy!! My point was/is if an Astrologer linked to a form, school, approach, mentality....proposes that Person A with the Moon in the 3rd in Sagittarius regards their bedtime book being out of sight as a fate on a par with Mum saying no milk today darling, then a week or book later a 'colleague' suggests the Moon is actually in the 2nd and therefore this delineation is Ballsup-Huber-dash, or somesuch, we are in mighty confusing and problematic, if not refundable, terrain. The notion now and then mooted, particularly post Cornelius's influential cat and pigeons tome, that all systems might or could 'work' in the 'right' hands I am inclined to think was somewhat spat out to dry in the infamous ''Under One Sky'' book, ...........?? One reason I still use Placidus is the fact that my 3rd cusp is exactly on the degree of my only sibling ASC.